Volume three of the Flinders Archaeological Society’s journal, Dig It, is now published on our website. It is open access, so you may download the full-text .pdf of the volume, or you may read it in your browser using our web app, ISSUU, available at the link above. Dig It is fast becoming a global journal for archaeology students and recent graduates. Despite being based in Adelaide, Australia, this volume includes papers by authors from Argentina, Australia, Nigeria, Romania and the United Kingdom. The diversity and breadth of the theories, topics, and sites that our authors write about is a testament to a growing attitude of global collaboration and dialogue in archaeology. We would like to take this opportunity to thank all of our contributors, referees*, editors and supporters, without whom this volume would not have been possible. While volume three is now available digitally, it will be available in print from Friday 18th May. 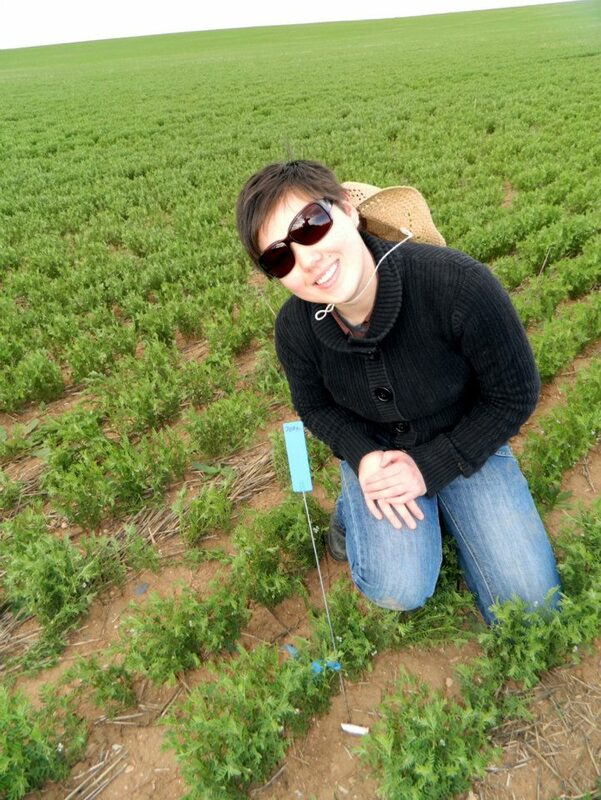 If you would like your copy posted to you, please let us know via dig.it@flindersarchsoc.org. Please note, only ArchSoc members and those who have contributed to this volume may receive a printed copy. Become a member today. Finally, we encourage all students, regardless of their geographical location, to consider writing for Dig It—we want to know what students are researching across the globe. Our advice for future contributors is to make sure your contribution is grounded in current academic literature and deals with a specific topic or question. We look forward to receiving many more contributions from students and recent graduates and to helping them refine their research for publication. Please get in touch with us if you would like to publish in Dig It. There will be a formal call for papers for the next volume in the coming days. *A list of all referees will be published on our website. Following the 2015 FUSA Club Awards, ArchSoc is honoured to receive the Flinders University Student Association’s Best Club Award for the second year in a row. We have also received the ‘Inanimate Carbon Rod Award’ for the best merchandise line of ArchSocks! The Society has had a highly active and productive year in 2015. We hosted the annual Diggers Shield – a cricket match between the Palaeontological Society and Archaeological Society. This year, the event was held in honour of the Palaeontological Society’s former president, James Moore, who was tragically killed in a car accident last year. In April, our Graduand Celebration for graduating archaeology students and their families was an immense success, offering an excellent opportunity to celebrate the accomplishments of our students. We have also held some excellent social events, including a pub crawl and a quiz night. This year, we have also run several workshops in order to allow students to develop their fieldwork skills. In addition, Dig It will be publishing its 2015 issue soon, offering students the opportunity to gain experience in the publication process. We would like to thank all of our volunteers and committee members past and present. You have been crucial to all our endeavours and we thank you for your ongoing support and commitment. We would also like to recognise the superb leadership of 2014/2015 president Dianne Riley, who has been integral to the Society’s accomplishments in the past two years. Thank you to all members who came out to support ArchSoc at the AGM, including those who attended via proxy and sent us their apologies. It was pleasing to see so many of our members come out and support the ArchSoc yesterday, particularly our more junior members. We encourage you to consider joining the committee in 2017. The meeting kicked off with the presentation of our new plaque for the Ruth and Vincent Megaw Award for Outstanding Collaboration in Archaeological Research and Practice. Thank you to Vincent, who presented the plaque to Cherrie De Leiuen and Susan Arthure. Congratulations to the very deserving recipients of this award. The award stands as a reminder of the importance of collaboration in our discipline. The plaque will hang alongside the plaques for the Andrew Allen-Farr Award and Honorary Life Members in the Humanities corridor. During the AGM, we ratified many extensive changes to our Constitution and our Regulations for General Committee. ArchSoc has overhauled the way the committee operates, with one of the major transformations being the renaming of positions to create a more representative body of archaeology students. The executive positions remain unchanged, however, the general committee now consists of First Year Representative; Second Year Representative; Third Year Representative; Postgraduate and Other Member Representative; External Student Representative; Dig It Editor; and Field Work Coordinator. Additionally, we adopted a Five Year Strategic Plan, which was drafted following a consultation forum with ArchSoc members in November 2015. The plan extends through to 2020 and gives successive committees a blueprint with which to direct and govern ArchSoc during that period. The issues that the Strategic Plan covers include leadership retention and conferral of operational knowledge; communication; membership stability; broader revenue streams; and various issues surrounding the criteria for Honorary Life Membership and alumni memberships. Fortunately, ArchSoc has already addressed one of the concerns highlighted in the Strategic Plan: Honorary Life Memberships. ArchSoc adopted a clearer, more precise eligibility criteria, as well as a more formal and transparent nomination and voting procedure. These changes will ensure this honour remains a prestigious one and consolidates its integrity. ArchSoc would like to congratulate our two newest Honorary Life Members: Leah Puletama and Antoinette Hennessy. Antoinette Hennessy has been a Fee-paying Member of ArchSoc since 2010, a total of six years. During this time, she has served as Social Coordinator, Public Relations Officer, and Treasurer on the ArchSoc committee. Her commitment to ArchSoc throughout her membership is matched only by a few. In many ways a silent achiever, Antoinette puts her hand up to assist with every ArchSoc event and initiative that she can. In this sense, she has been ArchSoc’s go-to-person who rarely declines a request for help. She has been one of the critical members who ensured ArchSoc grew to the level it is currently at. Antoinette had a policy of effective communication while she was Public Relations Officer as she ensured that all members and interested parties were fully aware of all details about an ArchSoc event, which included regular updates. The comprehensive, timely way in which Antoinette went about notifying members of ArchSoc’s activities is a testament to the success ArchSoc experienced during her time as Public Relations Officer. Antoinette was instrumental in setting up the social media accounts that the Society currently operates, as well as helping to set up and maintain the Society’s website and blog. Antoinette was the recipient of the Andrew Allen-Farr Award in 2012 in recognition of her efforts as Public Relations Officer. During her time as Treasurer, Antoinette commenced new accounting methods to ensure that the Society’s financial records were accurate and transparent. These methods were a precursor to the new procedures ArchSoc has in place today. Antoinette went above and beyond her duties as Treasurer, as even though she stepped down at the end of her term in 2013, she stepped up at the end of 2014 to assist with finalising ArchSoc’s accounts for the year, in preparation for the Annual General Meeting. With regard to the Society’s objectives, Antoinette has served ArchSoc consistently throughout her membership by helping to engage the wider community in archaeology in interactive and informative ways. This includes ArchSoc’s public outreach activities, such as stalls at university open days, a stall at the Old Highercombe Hotel Museum, field work at Prospect Hill, and presenting at ArchSoc’s Meet the Archaeologists Night. Finally, Antoinette has acted as ArchSoc’s de facto graphic designer in residence. 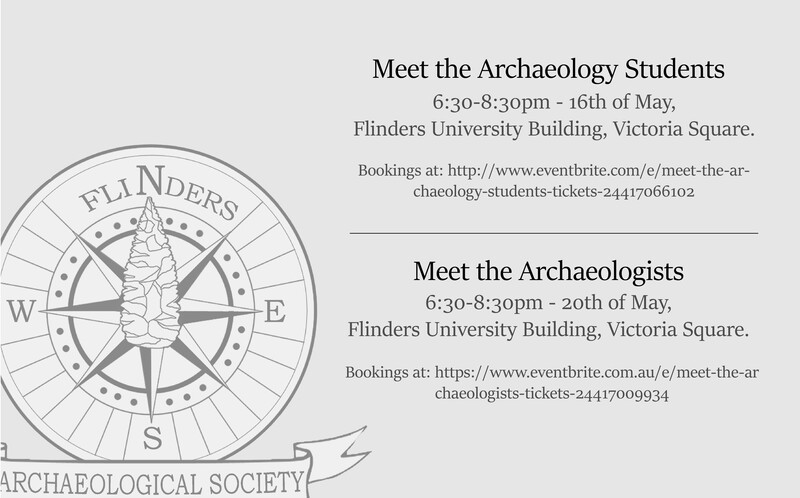 Chances are that if you own a Flinders ArchSoc tee shirt from the last five years, Antoinette designed the graphic. Antoinette has also had a hand in designing most of the Society’s advertising flyers, the website and Dig It. She is also responsible for having designed the current ArchSoc logo at the beginning of 2012. Antoinette was elected as an Honorary Life Member of ArchSoc at the Annual General Meeting held on the 19th of November 2015. Leah has been a Fee-paying Member of ArchSoc between 2005–2010 and 2012–present. Leah became a member of ArchSoc during her undergraduate years at Flinders University, while studying the Bachelor of Archaeology. During her time with ArchSoc, Leah served as a General Representative, Social Coordinator and President. Leah was elected as President of ArchSoc In 2007, during which time she is regularly credited for reviving the Society after a few dormant years. One of the changes that Leah initiated during her Presidency was to update the old ArchSoc logo (the one with a variety of artefacts and a bone) to a newer logo, which represented a photographic scale card. That logo was used between 2007 and 2012. In terms of the objectives of the Society, Leah helped to host social events and facilitate student networking by playing an active role in organising quiz nights and pub crawls. During her Presidency, Leah organised an ArchSoc Quiz Night, where she was also the MC. The success of this event has meant that the Quiz Night is one of the most anticipated annual events on ArchSoc’s calendar. Tragically, one of Leah’s classmates (and Vice President of ArchSoc), Andrew Allen-Farr, died in a swimming accident towards the end of Leah’s Presidency. Following this event, Leah worked tirelessly with the rest of the committee to ensure that Andrew’s legacy would endure. The outcome of this was the conception of the Andrew Allen-Farr Award, which is one of ArchSoc’s highest honours. 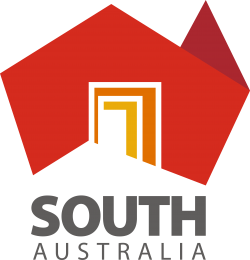 More recently, Leah chaired the organising committee for the National Archaeology Student Conference, which was held at Flinders University in 2014. Leah was able to successfully negotiate with Emeritus Professor Brian Fagan to deliver the keynote address at NASC 2014. In addition, the conference was attended by around 100 students from across Australia. While this event was not directly tied to ArchSoc, it provided ArchSoc members with the valuable opportunity to assist in organising and running a national conference and also to present their research and be part of academic dialogues that are normally out of their reach. Leah has been an asset to ArchSoc throughout her membership. She is always happy to provide guidance and direction on Society matters, and she consistently provides a voice of reason in many of these cases. While Leah plays less of a role in the day-to-day running of the Society at present, she is a regular face at ArchSoc events and general meetings (of course, she is a force to be reckoned with at the annual quiz night!). It is without doubt that ArchSoc has deeply benefited from Leah’s involvement over so many years. Leah was elected as an Honorary Life Member of ArchSoc at the Annual General Meeting held on the 19th of November 2015.